Cumberland Homes your manufactured or modular housing expert. Providing homes that were "Made in Alabama". Built entirely in the factory under federal code administered by the Department of Housing and Urban Development (HUD), which became effective June 15, 1976, and has been upgraded numerous times. Covers single or multi-section homes and includes transport to the site and installation. Regulations include: design & construction, strength & durability, transportability, fire resistance, energy efficiency & quality. Q: What is the difference between a Modular Building/Home and a H.U.D. Code Home? On the surface, modular homes may seem very similar to those known as “H.U.D. Code” homes. There are, however, distinct differences between the two types of housing. The primary difference is that H.U.D. Code homes are built to the federal H.U.D. code. This code encompasses all states of the United States and the homes are subject to federal inspection and approval. H.U.D. Code homes can only be single family residences. Modular buildings, however are built using the same building codes that are recognized by local building jurisdictions. On the other hand, modular units are built to the building codes that have jurisdiction for the particular state in which the modular unit is destined. For example, in some Southern states, the International Building Code (IBC) is enforced. Therefore, the modular buildings constructed for these states must comply with this code. It is important to note that these are the same codes utilized by the Contractors who site build their structures. Modular construction (unlike H.U.D.) includes occupancies other than Residential (IE: Assembly, Educational, Mercantile, Business.). It is also important to note that Modular construction is not categorized by Wind zones as is done for H.U.D. code construction. Instead, modular construction is produced according to specific wind speeds. The actual required wind speed for an area should be obtained from the local building official prior to construction. Deer Valley currently builds it's modulars to a maximum wind speed of 130 mph (Using IBC guidelines). Q: What roof pitches are available? 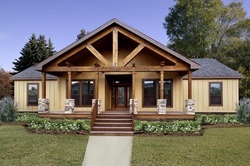 Our multi-wide homes offer nominal roof pitches of 3:12, 4:12, 5:12, and 6:12. Q: Can I really customize my home? Absolutely! 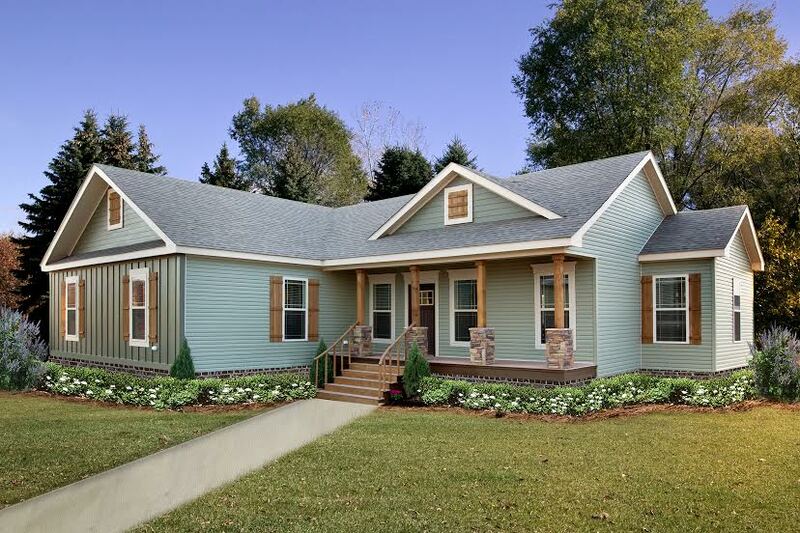 The process starts by reviewing our 70+ plans to find the kind of home you want. The number of bedrooms, bathrooms and square feet can be used as the basis of the search and then the customization begins. We are able to alter many plans to fit the site to utilize the natural surroundings. We have switched the kitchen on some homes to the other side of the design to have it on the back of the home. Q: Are there many features to choose from? Of course. We have a number of suppliers that you will be able to select almost everything from the hardwood floors to the crown moldings. Custom Made Easy is our pledge and commitment to you. Q: Can we buy the furniture displayed in home? Yes and no. Some finance options do not allow us to include furniture in loan so that will totally be a decision that you and the finance source will make. All or some of the furniture displayed can be included with the purchase of the home. Just let your salesperson know what furniture you want and he can get you the price. We buy furniture wholesale and we will pass the savings on to you. Q: Will my home be built to my local building codes? Absolutely! We make sure that our homes are built the highest standards and comply with the local building codes. Every home must pass the same requirements as a site-built home. We go the extra step and make sure our homes are inspected 300 times during the build so everything is the best it can be. Q:How do you get financing for manufactured homes? We have several lending partners that we work with on a daily basis. They are able to offer a wide range of financing options and when you come in and meet with one our knowledgeable sales staff we will try to help you find the best financing option for you.